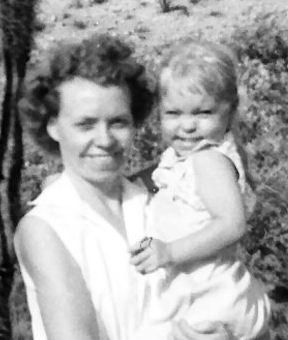 I lost my mom about 4 weeks ago. I’ve never lost anyone close to me before. It was a quick decline which we were grateful for. Many who follow me on my Personal Facebook have come to love my parents through things I’ve posted as years have gone by. I’m their only child. 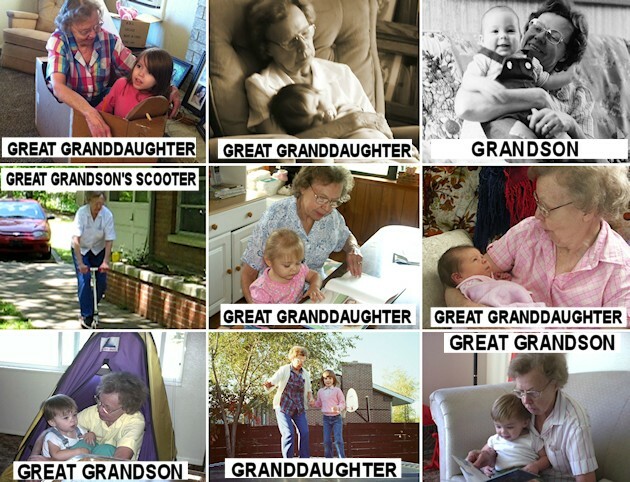 All of her grandkids and two great grandkids visited her in the hospital a few days before she passed, along with Roy an I and my dad. They all got to say goodbye to this woman who fiercely adored them. She was 91. My mom loved to clean. (I believe OCD is now the term.) But her house was always spotless and she never sat still a minute. I’m not kidding. When she broke her hip a couple years back and had to be in a wheel chair, she would roll around her house cleaning what she could reach. She didn’t let anything slow her down! I actually wrote a funny poem about that. You can read it by clicking on the small image to the left if you like. I’ll just say this right out: I’m not a fan of funerals and I’ve told my family repeatedly don’t they DARE have a funeral for me… I want a celebration of my life! Stories, laughter, a few tears are allowed, but I want the focus to be the joy of my life. So we didn’t do a funeral for my mom. Grieving is a very personal thing and everyone does it differently. Even though I had not experienced it at the time, my view about this was changed dramatically a few years ago while watching an early Dr. Phil show. This woman has lost her only daughter who was in her twenties I believe. The mother could not get over it and it consumed her thoughts day and night until the point she was planning to kill herself. I’ll never forget what he said: “Why do you choose to focus on that one day she died, rather than celebrating all the days she lived?” The woman was speechless at that point then said “I never thought of it that way.” Neither did I. So below are a few suggestions to help you grieve the loss of someone you love and hopefully make it a little less painful. One thing I did was I made a shadow box for my mom. I chose a shirt she wore a lot over many years as the background, and a photo of her that I have always loved. Let yourself grieve. Do NOT hold in feelings. Guys do this more than women I think but it’s SO important to let out the feelings. Cry, sob, beat a pillow. Do what you need. Talk about it, when you’re ready. Don’t use alcohol or drugs to medicate you’re pain. Call a friend, go for a walk, watch a funny movie instead. Focus on the person’s entire life, not just on the one day they died. If you’re a reader there are some great books out there. “Healing After Loss” is daily quotes or very short stories from famous people. Also “Good Grief” has helped many. You can find many secular and religious books on the topic. I’m reminded of an old Little House on the Prairie where a widow had several children and she was dying. At the funeral she had written a paper to be read. In it said “Remember me with smiles and laughter… If you can only remember me with tears, then don’t remember me at all”. You can find many secular and religious books on the topic. About Time This tops my list! Music is very personal so what I like you might not. Shadow Box You can buy these in all shapes and sizes. I used a 12″x 12″. If you plan to put thicker objects in it make sure it’s deep enough. Cardboard or Foamboard for insert. The shadow boxes sometimes come with those. Fillers Theses will be very personal items. 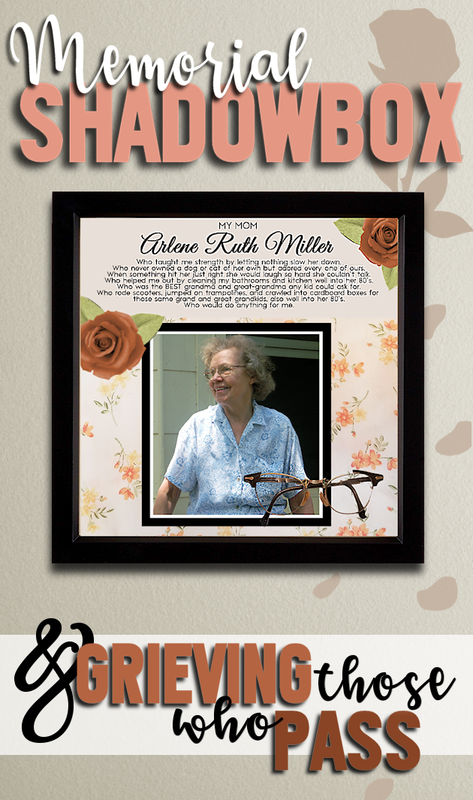 I used a shirt of my moms, her old glasses and then printed the text and put her photo in the middle. Pins, wire or Command Strips. 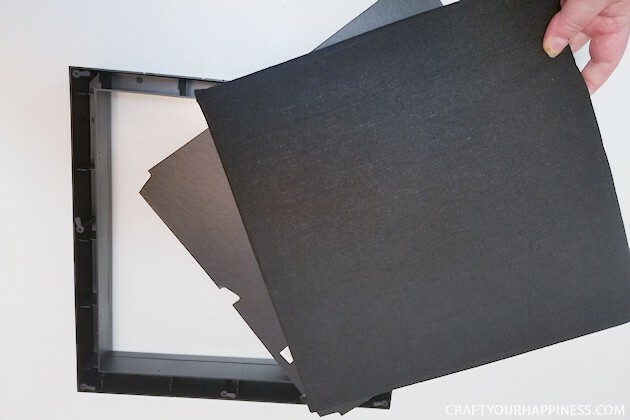 Depending on what your putting in your shadow box, you might not want to use glue. Wire or pins can hold on things like glasses. A memory photo box is a wonderful thing to remind us of loved ones and pets who have passed. They can be filled with actual objects that belonged to that person or pet. You can make them as simple or as complex as you wish. Even just a photo with artificial flowers glued on one corner would be beautiful. 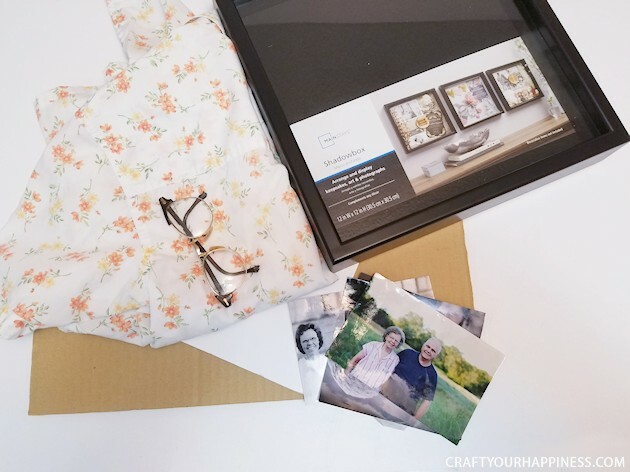 Gather the items you wish to place in our shadow box. Mine came with a foam insert so I didn’t need to cut my own. It has to be thick enough to in things too. 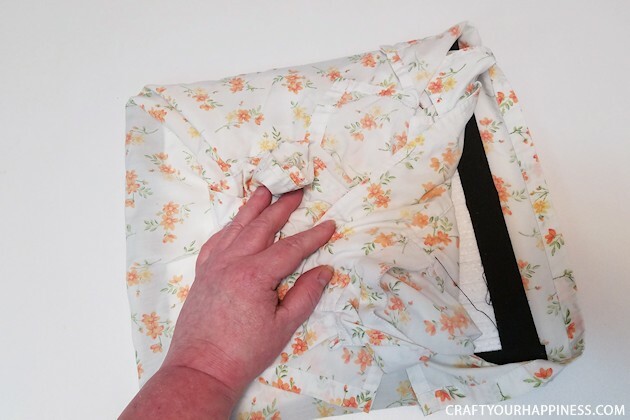 This shows what to do if cutting your own insert. 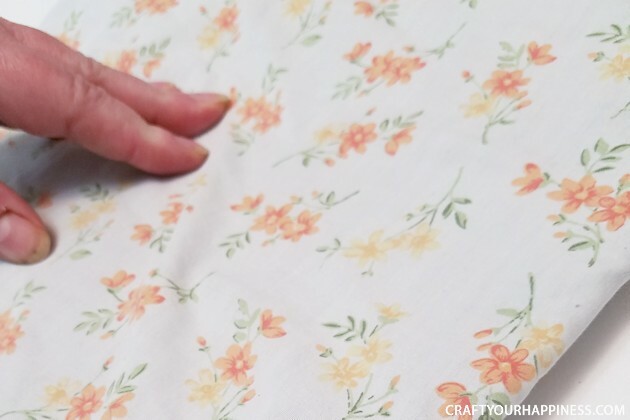 I chose a shirt my mom has had for a long time as the background but I didn’t want to cut it so I planned on wrapping it around the edges and tacking it underneath with pins so in that case you might need to cut your board a tiny bit smaller. 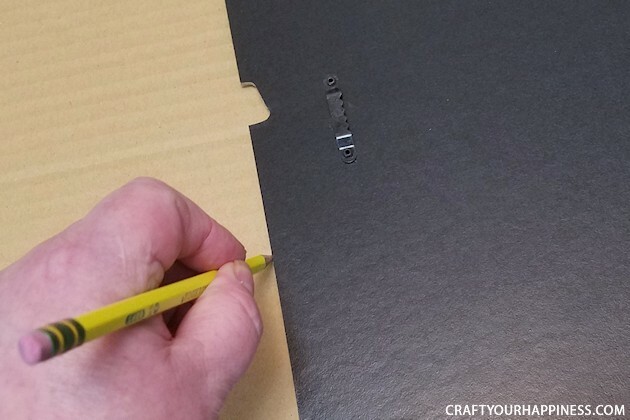 Trace the back piece of the frame onto your foam or cardboard if you need to make your own. 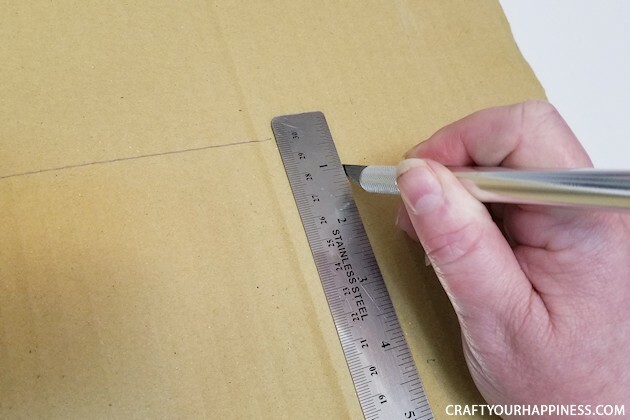 Use an X-acto knife and ruler to cut your board. This shows the piece that came with my frame so I just used it. As I didn’t want to cut the shirt I had to gather it in the back, pin it, making sure the front was flat. It was tricky and I’d suggest a helper if you do that. You can see I still have some looseness so I had to keep pulling the back and repining it. 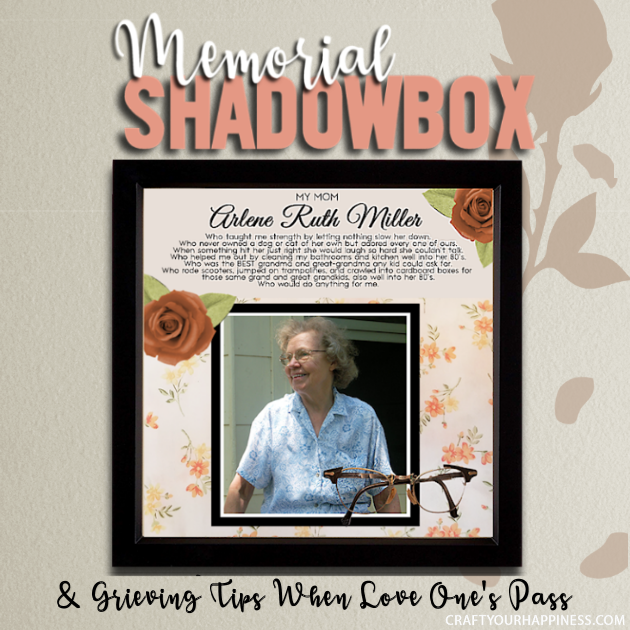 You’re now ready to add your items below shows what I used in my Memorial Shadow Box. The background is, of course, her shirt worn for many years. Hey Kathy! 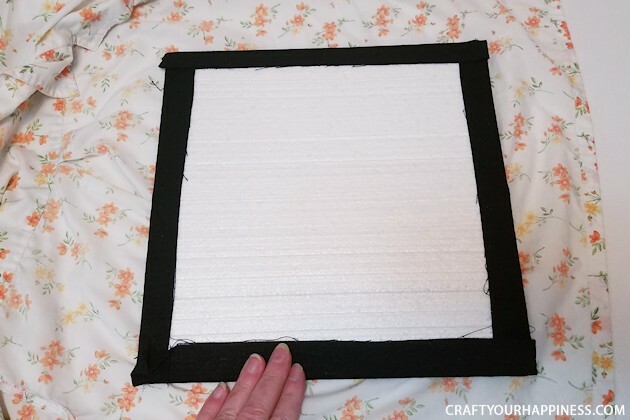 It’s a frame… but it has about 2″ or a little less between the glass and the back section. That’s why you can put objects into it! Hello, Nancy. Directed to your site from Hometalk, & happened to see this article. First, please accept my condolences. It’s never easy losing a parent, even when they’ve lived a long life. Second, thanks for sharing your ideas for the shadow box. 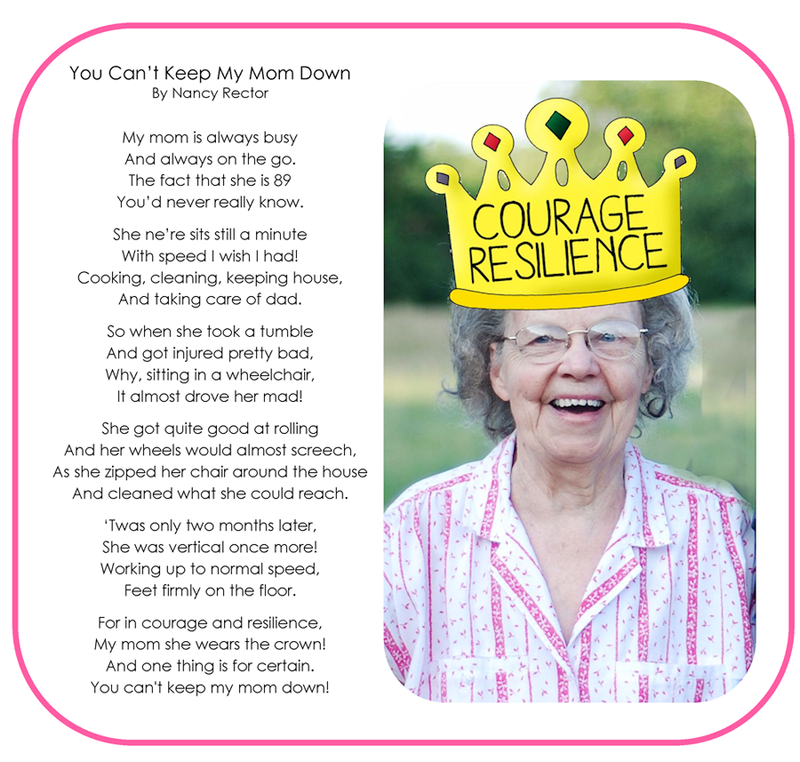 What a lovely way to pay tribute to your mom! Prayers for continued healing…. Hi Nancy. 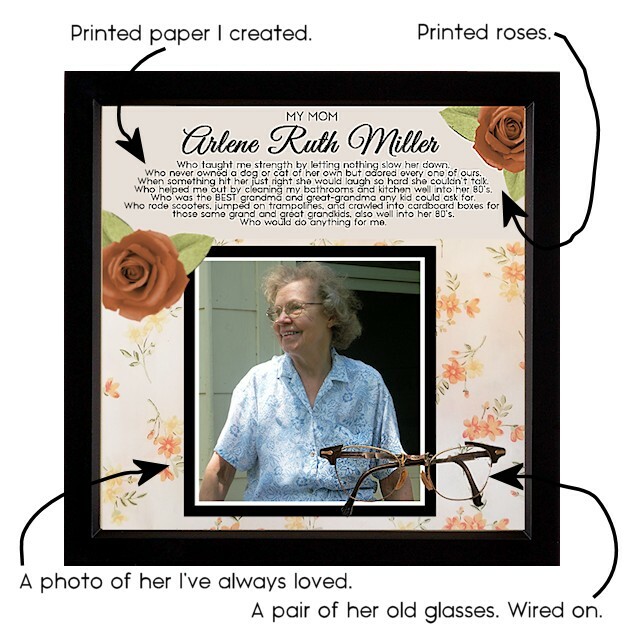 May I say that I am very sorry for your loss but what a beautiful, memorable tribute to your mom by creating the shadowbox. Thank you for taking the time to share that with us as well as how it was created, God bless you and your family.